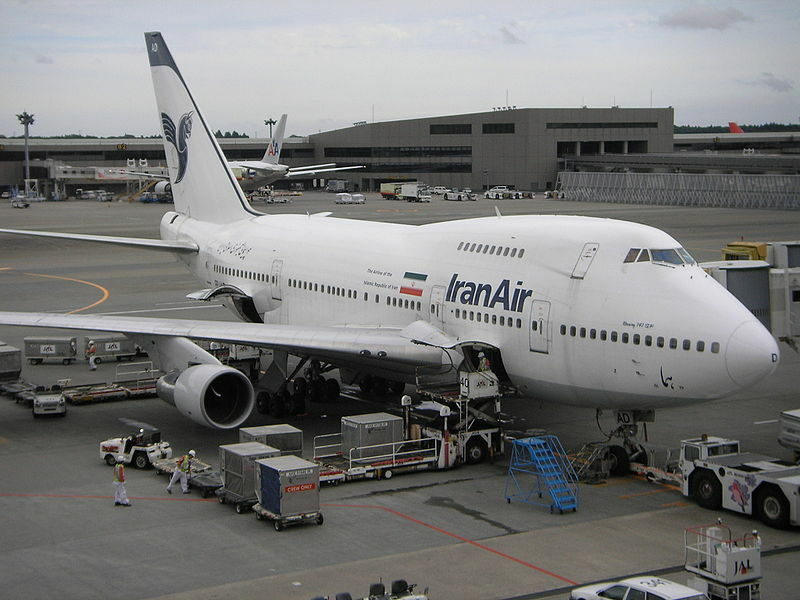 Managing Director of Iran's national air carrier, Iran Air, Farhad Parvaresh announced that the country is likely to use Qatari planes for domestic flights. "Based on the cabotage law which has also been approved by the (Islamic Consultative Assembly) parliament, foreign airline companies can run domestic flights in Iran's internal routes," Parvaresh told reporters on Sunday. He continued saying that based on the cabotage law, the Qataris can also fly in Iran, but under an Iranian company. And the issue is now under study, he added. Sanctions-hit Iran is taking the unprecedented step of allowing a foreign airline, Qatar Airways, to ply its domestic routes, an Iranian official told the ISNA news agency Sunday. 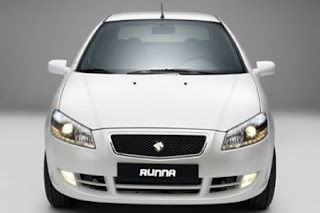 "The agreements have been done and the time of implementation of this agreement will be announced by the roads and urban development ministry," the deputy minister in that ministry tasked with transport, Shahriar Afandizadeh, was quoted as saying by the ISNA agency. The deal would see Qatar Airways operate a code-share arrangement with Iranian airlines to comply with laws excluding non-Iranian companies from domestic routes, the CEO of flag-carrier Iran Air, Farhad Parvaresh, told the IRNA news agency. Qatar Airways, which has a fleet of 97 aircraft and orders for 182 more, currently services international routes between the Qatari capital Doha and the Iranian cities of Tehran, Shiraz and Mashhad. The Qatari company already has code-share agreements with several foreign airlines on international routes, including US carriers United and US Airways. Afandizadeh said domestic seats sold on the Qatar Airways planes would be 25 per cent more expensive than the ones run by Iranian airlines, partly because the Qatari aircraft would purchase aviation fuel at the market rate of 60 cents a litre rather than the subsidised 33 cents per litre offered to national companies. This appears to be a novel way for the Iranians to deal with the US-led sanctions effort that have denied Iranian carriers access to new Boeing and Airbus jetliners, as well as replacement parts for their existing fleets. For the sake and safety of Iran's air passenger customers, hopefully this effort or perhaps one like it will come to fruition. - A lack of leadership on economic issues, including the country’s meager economic growth, rising inflation, and unfinished subsidy reforms. The case will now go to the Majlis special committees for investigation. The article 88 of the Iranian constitution states that the president can be summoned by the written request of at least one-forth of the deputies and must appear before Majlis within a month of being summoned. Today’s decision by Majlis is the first time in 33-year history of the Islamic Republic that the Article 88 has been invoked. The proceedings could lead to the president's impeachment. The Iranian currency rial continued loosing value against US dollar and finished the day at 13,070 rials per dollar, a historic low. 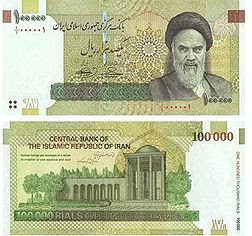 Since Ahmadinejad has become president, the rial has lost more than 40% of its value against dollar. Iran’s state-run English-language Press TV today offered an analysis on the growing tensions in Iran-US relations. In a piece titled ‘US tightening noose around Iran neck?’, appearing prominently on its website, it examines the issue in the aftermath of the alleged Iranian assassination plot. “Following the anti-Iran Saudi envoy assassination scenario, the US agenda to tighten its grip on the Islamic Republic has taken a new shape and form,” Press TV quotes its political analyst, Ismail Salami [Press TV, 30 October]. “A Republican-controlled congressional committee has recently heard testimony demanding an extensive range of covert operations against the country under the false pretext of Tehran's involvement in a plot to assassinate Saudi envoy to Washington,” Salami said. “The US has been carrying out many covert operations to that effect since 2007 -- assassinating several Iranian scientists, including Massoud Ali-Mohammadi and Majid Shahriari, throwing support behind minority Ahwazi Arab and Baluchis and other opposition groups as well as gathering intelligence on Iranian nuclear sites, to name a few” [Press TV, 30 October]. In a related story, the New York Times reported today that the Obama administration plans to bolster the American military presence in the Persian Gulf after it withdraws the remaining troops from Iraq this year. “That repositioning could include new combat forces in Kuwait able to respond to a collapse of security in Iraq or a military confrontation with Iran,” the Times reports. “In addition to negotiations over maintaining a ground combat presence in Kuwait, the United States is considering sending more naval warships through international waters in the region. “With an eye on the threat of a belligerent Iran, the administration is also seeking to expand military ties with the six nations in the Gulf Cooperation Council (GCC)— Saudi Arabia, Kuwait, Bahrain, Qatar, the United Arab Emirates and Oman” [The New York Times, 30 October]. Iran’s popular news website Tabnak reported on Saturday that Pakistan has decided not to join the “Peace Pipeline” project, linking Iran’s southern gas fields to Pakistan’s national pipeline system. Pakistan has instead will stay with the proposed TAPI pipeline, importing gas from Turkmenistan via Afghan territory. The proposed Iran-Pakistan gas pipeline was originally called IPI (Iran-Pakistan-India) pipeline. India withdrew from the project late last year and the name changed to Peace Pipeline. Iran has already constructed the Asalouyeh-Iranshahr portion of the pipeline, inside Iran, and the construction of the pipeline to the Pakistani border is scheduled to be completed later this year. Now with the Pakistani withdrawal, the pipeline will become an all-Iranian variety. The TAPI pipeline will link Turkmen gas fields to Afghanistan, Pakistan and India. The final agreement among the four countries was signed in August. Tabnak quotes Pakistani officials as saying that the US pressure on the country to withdraw from the Iranian proposed project was the main reason for the withdrawal. Ayatollah Ahmad Jannati, the chairman of Iran’s Guardian Council, the governmental body charged with approving the final list of candidates presented to the public for the upcoming parliamentary elections, warned those spending “unconventional” amounts of money in their campaigns that they would be disqualified to run for Majlis. The supporters of President Ahmadinejad and his chief of staff, Esfandiar Rahim Mashaie, whom are routinely labeled “deviationists” by the ruling conservatives, are believed to be waging organized and well-financed campaigns. Jannati’s comments, delivered at Friday Prayer sermon, was a clear warning that the council might be planning to disqualify the group’s candidates under different pretexts, including their campaign budgets. “Those candidates who spend unconventional sums of money for the election campaigns might have a problem in securing the approval of the Guardian Council,” Ayatollah Jannati said [IRNA, 28 October]. Jannati added that the council would be closely monitoring the election campaigns all across the country to identify the big spenders. Ayatollah Jannati was appointed to his post by the country’s supreme leader, Ayatollah Ali Khamenei. The parliamentary elections are scheduled to be held on 2 March 2012. An explosion at an oil field in southern Bushehr province today killed an employee of the National Iranian Drilling Company and injured three. Mehr News Agency reported that the blast at Bibi Hakimeh oil rig happened when a huge amount of gas was released during drilling. In a separate incident, the Shazand Oil Refinery in the central city of Arak was also hit a blast and a fire. No reports of casualty or damage were available. Shazand Oil Refinery was inaugurated last February at the cost of more than $3 billion and is one of the largest refineries in the Middle East. It is the largest facility producing gasoline in the country. The Iranian parliament, Majlis, today called off a motion to summon President Ahmadinejad to answer MP’s questions regarding the recent banking scandal and concerns over what MPs had termed as president’s disregard of laws passed by the legislative body. The motion had been sponsored by 100 conservative members of Majlis, but was withdrawn under heavy pressure from the speaker. Some parliamentarians had raised their own concerns that questioning the president would weaken the government during a time of heightened tensions with the US over an alleged plot to kill the Saudi ambassador to Washington and the expected tightening of economic sanctions against the country. The US is seeking European support for tougher sanctions on Iran. The Treasury Undersecretary David Cohen today met with British officials in London to discuss potential new sanctions in the aftermath of the alleged Iranian plot to kill the Saudi ambassador to Washington. Cohen will also visit Berlin, Paris and Rome during the week. “Iran needs to be held accountable for this plot,” Secretary Cohen said [AP, 24 October]. It is reported that the US is seeking the support for bringing sanctions against the Central Bank of Iran (CBI). Such move, if implemented, would by far be the most serious sanction against the country, with potentially devastating effects on the Iranian economy. “We are going to continue to look at those financial institutions that are involved with proliferation activity for Iran and continue to try to isolate them from the international financial sector,” Cohen added. Twenty-eight members of Majlis, Iran’s parliament, today started the impeachment proceeding against President Ahmadinejad’s finance minister, Shamseddin Hosseini. The parliamentarians are said to be unhappy about the government’s handling of a $3 billion bank fraud, the largest in Iran’s history. A motion to impeach Energy Minister Majid Namjou was also filed at Majlis. The parliamentarians are dissatisfied with the latter's performance in office. The impeachment proceedings against the ministers manifest the determination of the conservative majority in Majlis to keep pressure on Ahmadinejad. They have already accused his political confidant and chief of staff, Esfandiar Rahim Mashaie, of leading a “deviant” faction against the ideals of the Islamic Republic, regarding him as dangerous as the leaders of the 2009 Green Movement. Iranian President Mahmoud Ahmadinejad said on Saturday that US pursuit of “hegemonic” practices harbingers its downfall. During an interview by CNN, as reported by the Iranian media, Ahmadinejad said the US has earned itself the position of a “hated” government as it “encroaches upon the independence of sovereign nations.” He predicted the “collapse of the US Empire” [IRNA, 22 October]. “The American administration should change its policies as these have failed both domestically and internationally,” said Ahmadinejad. Ahmadinejad also dismissed as “baseless” US allegations that Iran was involved in an assassination plot against the Saudi ambassador to Washington. He said the US was attempting to drive a wedge between Iran and Saudi Arabia. 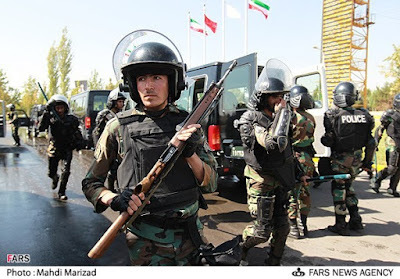 The Iranian officials today rejected a UN report on human rights situations in Iran written by Ahmed Shaheed, UN Special Rapporteur on the Situation of Human Rights in the Islamic Republic of Iran. “We cannot accept human rights dictated by the West, as we have accepted a religious regime and defend Islam's human rights principles assertively and of course wisely,” said Ayatollah Sadeq Larijani, the head of Iran's judiciary. The UN special rapporteur today defended his critical report on the country. Shaheed told reporters in New York that he is sure of the complete accuracy of the contents of his interim report, released last weekend, and will issue a more comprehensive report in the months to come. “I'm confident the report is reliable and can be useful in producing information about what is happening in Iran,” Shaheed said [IPS, 20 October]. The report included allegations of obstructing free and fair elections, denial of freedom of expression and assembly, allegations of deprivation of the right to education, and the harassment and intimidation of religious and ethnic minorities, human rights defenders, and civil society and religious actors, IPS reports [20 October]. Since Shaheed's appointment, Iranian officials have not allowed him to enter the country. Saheed, the former foreign minister of the Maldives, said while he will continue to attempt a dialogue with Iranian authorities, he intends to move forward with a more comprehensive report, with or without Iran's cooperation. Shaheed also expressed concern about the Iran's justice system, including certain practices that amount to torture, cruel, or degrading treatment of detainees; the imposition of the death penalty in the absence of proper judicial safeguards; the denial of reasonable access to legal counsel and adequate medical treatment; and the widespread use of both secret and public executions. A US grand jury today formally indicted two Iranians suspected of being part of a conspiracy to kill the Saudi ambassador to Washington. 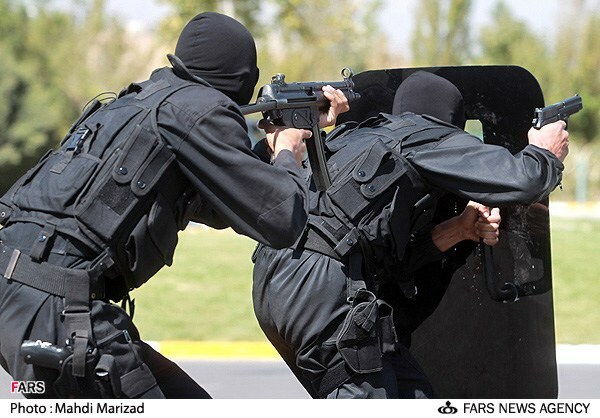 One suspect, Mansour Arbabsiar, 56, was arrested on 29 September in New York, and the other, Gholam Shakuri, is reported by the US authorities to be a member of IRGC’s Quds Force, living in Tehran. Mr. Arbabsiar is scheduled to be arraigned on Monday and will have a chance to enter a plea to the charges brought against him by the Justice Department. His defense attorney, Sabrina Shroff, has previously stated her client would plead not guilty. The two men are charged with one count of conspiracy to murder a foreign official, two counts of use of interstate and foreign commerce facilities in the commission of murder for hire and one count each of conspiracy to use a weapon of mass destruction and conspiracy to commit an act of terrorism. US District Judge John Keenan will oversee the case in Manhattan federal court. UPDATE (24 October): Mr. Arbabsiar pleaded not guilty in federal court to plotting to kill the Saudi ambassador to Washington in a bomb attack. The way ahead is to hold free elections and establish a new regime free of barbarianism and lifelong rule of an autocratic leader; paving the way for the proud people of Libya to establish democratic rule in their country. Iran Khodro Company (IKCO), the country’s largest auto manufacturer, displayed its latest models, including its new sedan, Runna (pictured above), at an exhibition of Iran's export commodities that opened today in Ukrainian capital city, Kiev. The Iranian currency rial continued losing value against dollar on Tuesday, with the US dollar traded at 12,720 rials in open exchange markets in Tehran. At this rate, the dollar was being traded at 22 percent above the official rate of 10,660 rials set by the Central Bank of Iran (CBI). Yesterday, CBI asked commercial banks to start selling dollar at the official rate. But Fars News Agency is reporting today that the banks have generally ignored CBI’s directive and were not offering dollar at that rate. Iran’s Foreign Minister Ali Akbar Salehi said today in Tehran that Iran would examine “seriously” US allegations of an Iranian involvement in the plot to assassinate the Saudi ambassador to Washington. 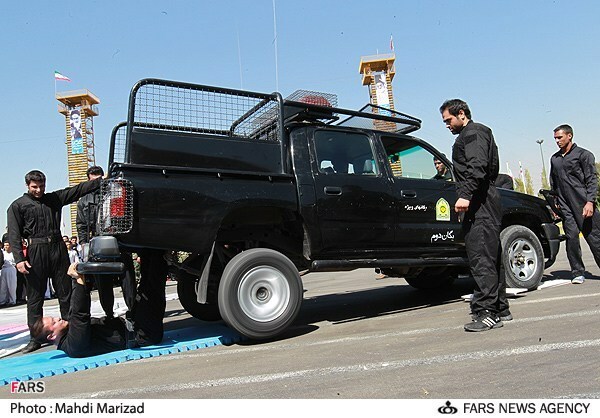 The foreign minister's statement was the first indication that Iran might be open to cooperate with the investigation. “We are prepared to examine any issue, even if fabricated, seriously and patiently, and we have called on America to submit to us any information in regard to this scenario," Salehi said [IRNA, 17 October]. Meanwhile, the UN Secretary-General Ban Ki-moon said today he had passed correspondence about the US allegation of Iran's involvement in the plot to the UN Security Council. Iran’s Supreme Leader Ayatollah Ali Khamenei today warned the US that any measures taken against the Islamic Republic over the alleged plot to assassinate the Saudi ambassador to Washington would elicit “resolute” Iranian response. “If U.S. officials have some delusions, (they must) know that any unsuitable act, whether political or security, will meet a resolute response from the Iranian nation,” Khamenei said [Press TV, 16 October]. Iranian officials have consistently denied the allegations since they first emerged last week. Ayatollah Khamenei’s blunt comments manifest Iran’s concerns that Washington would use the case to gather international support to further isolate the country. “They (the US) say that they want to isolate Iran, (but) they are themselves isolated; today, no country is more hated than the US in the world,” Khamenei said in a speech in Gilan-e Gharb in the western province of Kermanshah [IRNA, 15 October]. While the administration of Barack Obama vows to hold the Iranian government "accountable" for the alleged plot to assassinate the Saudi ambassador in Washington, the legal document describing evidence in the case provides multiple indications that it was mainly the result of an FBI "sting" operation. Although the legal document, called an amended criminal complaint, implicates Iranian-American Manssor Arbabsiar and his cousin Ali Gholam Shakuri, an officer in the Iranian Quds Force, in a plan to assassinate Saudi Arabian Ambassador Adel al-Jubeir, it also suggests that the idea originated with and was strongly pushed by a undercover DEA informant, at the direction of the FBI. Arbabsiar was seeking a drug deal and was caught in a DEA net. FBI/DEA prompted this into a drug/assassination deal. The motivation of Arbabsiar and his contacts in Iran was negotiating a drug trafficking connection; the effort by FBI/DEA was to ensnare the deal into charges of assassination/bombings. So the actual evidence appears to show the DEA informant involving Arbabsiar into the FBI/DEA initiated suggestion for an assassination/bombing deal, while Arbabsiar and any of his contact’s purpose is to establish a drug trafficking deal. That’s how this makes sense. The USG notion that this is a IRGC/Quds initiated terror plot appears to be misleading, as is the notion of any IRIG leadership involvement in the matter. So the real question might be how high the initial idea for and approval of this FBI/DEA initiative reaches in the U.S. government, rather than pointing to leadership approval in Iran or even idea for and approval within IRGC/Quds. Which begs a second question: what is the ultimate object of this U.S. initiative? For a complete reading of Gareth Porter's take on the matter, click HERE. 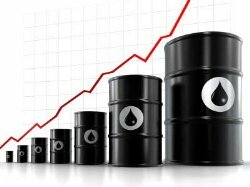 OPEC reported today that the price of its crude oil basket has risen to $107.68 a barrel, an increase of $2.07 over the previous day. Iran’s Heavy is one of the 12 crudes making up the OPEC basket [IRNA, 13 October]. The alleged plot to assassinate the Saudi Arabian ambassador to the US may have violated a UN treaty protecting diplomats, Reuters reports. US authorities have arrested Iranian-American Manssor Arbabsiar for the alleged plot and accused a second Iranian, Gholam Shakuri, who is reported to be in Iran and a member of IRGC- Quds Force. If the two Iranians were involved in the alleged plot to kill Saudi Ambassador Adel al-Jubeir, the case would be in violation of the ‘UN Convention on the Prevention and Punishment of Crimes Against Internationally Protected Persons.’ Iran signed the treaty in 1978, which would require Tehran to consider prosecuting Shakuri in its court system or extradite him to a requesting country, potentially the US or Saudi Arabia. [Reuters, 13 October]. The US and Saudi Arabia also have the option of pursuing action at the UN Security Council. Another option is for the US and/or Saudi Arabia to seek an arbitration and ultimately a ruling from the Court of International Justice (CIJ) in The Hague’s. Meanwhile, the legal proceedings against Mr. Arbabsiar will proceed in the US District Court in New York where he will appear on 25 October for a preliminary hearing. The US Treasury’s Office of Foreign Assets Control (OFAC) on Wednesday added Iran’s Mahan Air to its Specialty Designated Nationals (SDN) list. 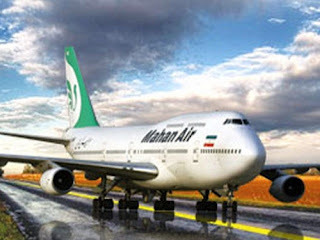 The Treasury spokesman said that Mahan Air provides “financial, material and technological support to the IRGC-Quds Force and to (Lebanon’s) Hezbollah” [AP, 13 October]. The Treasury also charged the airliner with ferrying personnel between Iran and Syria for military training and helping IRGC-QF officers to covertly travel abroad. The airliner’s crews were also accused of shipping arms on behalf of Iran and Hezbollah. On Sunday, the International Air Transport Association (IATA) suspended the Iranian national airline, Iran Air, after the Treasury’s OFAC had added it to its SDN list. IATA is expected to also suspend Mahan Air after Wednesday’s action by the Treasury. The suspension would prohibit Mahan to use other airlines' facilities and non-Iranian travel agents would not be able to book passengers on its flights. Such restrictions, if implemented by IATA, would severely limit Mahan Air’s ability to service its foreign destinations. Mahan Air is Iran’s most modern and fastest growing airline. Iran’s Supreme Leader Ayatollah Ali Khamenei today told a large crowd gathered in Kermanshah’s sports stadium that the ‘Occupy Wall Street’ protests in the US show that 99 percent of the American people are not supporting their government and only one percent of the country is imposing its rule over the people, using their treasure to wage wars in Afghanistan and Iraq and in support of Israel. Ayatollah Khamenei predicted that the capitalist regimes in the US and in the West will collapse. Pointing to street protests in Tehran and other cities in Iran after the June 2009 parliamentary elections, Ayatollah Khamenei said the “troubles” (the Green Movement) were dealt with powerfully by the people and were defeated two days after the Ashura demonstrations. The ayatollah was referring to the day when he made a major speech at the University of Tehran’s Friday Prayer two days after one of the largest pro-Green demonstrations, during which he denounced the street protesters and publicly sided with the sitting president (Mahmoud Ahmadinejad) in the disputed election. Ayatollah Khamenei called on people’s vast participation in the upcoming parliamentary elections, scheduled for 2 March 2010. Referring to the experience of the 2009 presidential election, Khamenei said even if some people would object to the outcomes of the 2012 parliamentary elections, they should channel their objection through legal means. 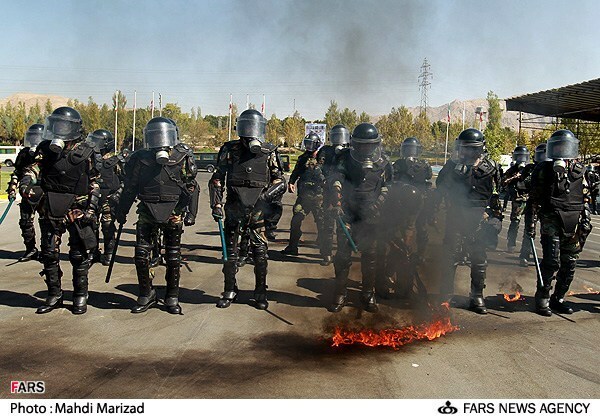 The supreme leader was clearly discouraging any future anti-government street protests in Iran, especially during the upcoming parliamentary elections, while wholeheartedly supporting the anti-government street protests in the US. Ayatollah Khamenei, in a pointed and threatening remark, said if an official of the Islamic Republic wants to take a path opposed to the ideals of the Islamic revolution, the people will eliminate him. In another part of his speech, Khamenei again called on the heads of three branches of the government to pursue the case of the recent multi-billion dollar banking embezzlement in the country to the very end by prosecuting all the guilty parties. He again emphasized the importance of waging a campaign against financial and official corruption in the country. For a report on Ayatollah Khamenei’s speech, in Farsi, please see the official Iranian news agency, IRNA. Iran said it had suspended a contract with Chinese National Petroleum Corporation International (CNPCI) for development of its North Pars gas field. 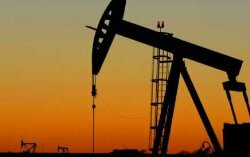 “We will decide on the continuation of CNPCI activities in the North Pars gas field when they fulfill their commitments in Iran's South Pars gas field, which is Iran's first priority,” said Mousa Souri, the managing director of Pars Oil and Gas Company [Mehr News Agency, 11 October]. On Tuesday, Iran also formally suspended Russia’s Gazprom from developing its Azar oil field. Western companies have already pulled out from Iran’s energy sector due to the fear of sanctions. But the non-performance of CNPCI, the oil and gas giant owned by the Chinese government, and Gazprom, the Russian oil and gas giant, will have a chilling effect on the future of foreign investment in Iran’s oil and gas sector. Iran’s Oil Minister Rostam Qasemi said after the suspensions that the Islamic Republic had no need for foreign investment in energy sector. Although there are serious doubts about the credibility of Qasemi’s statement. If Iran did not need such investments, they would not have awarded these huge contracts to the Russians and the Chinese in the first place, only to suspend them later. The Iranian Ambassador to the United Nations Mohammad Khazaei today sent a letter to UN Secretary-General Ban Ki-moon voicing "outrage" over the US allegations of the Islamic Republic's involvement in a plot to assassinate the Saudi ambassador to Washington. Khazaei said in the letter that the allegation was politically-motivated and “warmongering” by the United States [IRNA, 12 October]. The US authorities said they have broken up a plot by two men linked to the Iranian government to assassinate the Saudi ambassador in Washington. One of the suspects, Mansour Arbabsiar, was arrested last month in New York, while the other, Gholam Shakuri, is in Iran. The Saudi Arabian government said the plot to assassinate Ambassador Adel al-Jubeir was “a despicable violation of international norms, standards and conventions” [Reuters, 11 October]. US Secretary of State Hillary Clinton also called the plot a “blatant violation” of international norms [Reuters, 11 October]. Iranian Foreign Ministry Spokesman Ramin Mehmanparast rejected US accusations. “These threadbare attitudes, which are based on the age-old and hostile American-Zionist policies, are a ridiculous show in line with certain scenario fabrication of divisive ends on the part of the enemies of Islam and the region,” Mehmanparast said [Press TV, 11 October]. 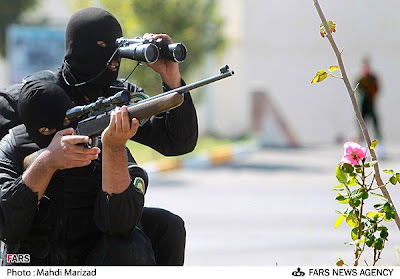 US Attorney General Eric Holder pointed to IRGC and its Quds force. The Justice Department chief said one of the suspects named in the indictment, Gholam Shakuri, is a member of the Quds Force. “High-up officials in those agencies, which is an integral part of the Iranian government, were responsible for this plot," Holder said. "I think one has to be concerned about the chilling nature of what the Iranian government attempted to do here," he added. According to the indictment, Arbabsiar said after his arrest in New York that he had been recruited and directed by men he understood were senior Quds Force officials. 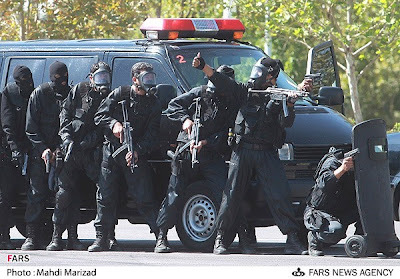 Arbabsiar, a 56-year old Iranian-American, apparently approached an individual in Mexico for help and paid him $100,000 as a down payment on the $1.5 million requested to execute the plot, but that individual turned out to be an informant for the US Drug Enforcement Administration [Reuters, 11 October]. The indictment also alleges that Shakuri approved the plan to kill the ambassador during telephone conversations with Arbabsiar. The men are charged with conspiracy to murder a foreign official. UPDATE: A senior IRGC commander, Brigadier General Hossein Salami, called US allegation of IRGC’s involvement in a plot to assassinate the Saudi ambassador to Washington as “hilarious and baseless” [IRNA, 12 October]. The National Iranian Oil Company (NIOC) today announced the start of exploration of three new oil and gas fields. The new fields are the Khayyam gas field in Asalouyeh with in-place reserves of 227 billion cubic meters, Madar gas field, also in Asalouyeh, with in-place reserves of 495 cubic meters, and an unnamed oil field in the Iraqi border area where eight drilling rigs are already stationed. 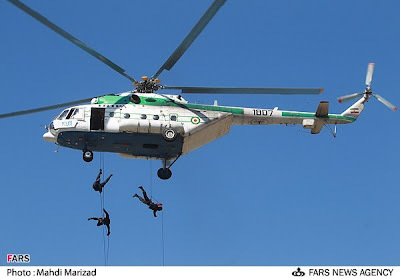 SHANA, NIOC’s news website, reports that a budget of $350 million has been allocated for exploration of the new fields in the current Iranian fiscal year, ending in March 2012 [SHANA, 11 October]. OPEC’s oil production fell by 130,000 barrels per day in September to 30 million bpd. Saudi Arabia, Nigeria, UAE, Kuwait and Iran registered declines while Angola, Libya and Iraq reported increases in production. “The main factor to watch in the next few months is just how much Libyan crude comes back on the market, and whether other producers need to make way for it," said John Kingston, Platts global director of news [MarketWatch, 10 October]. Iran’s Judiciary has issued arrest warrants for 14 more suspects in the largest banking fraud in Iranian history, these in addition to the 22 warrants issued last month. Today, the Judiciary spokesman, Hojjatoleslam Gholam-Hossein Mohseni-Ejei, told reporters in Tehran that even though the banking laws might not have been strong enough to prevent the estimated $3 billion embezzlement, but the main culprits were those trusted to enforce the laws but chose a traitorous path to enrich themselves. Mohseni-Ejei who is acting as the chief prosecutor in the case added that he was investigating the behavior of the Central Bank of Iran (CBI) as well: Did the CBI exercise its supervisory role over the banks involved in the embezzlement and did its auditors performed their duties? 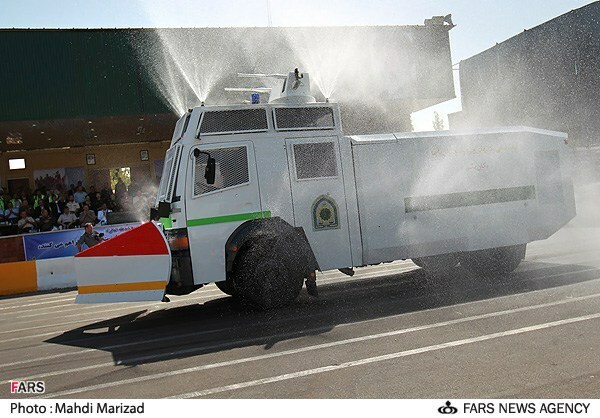 [Fars news Agency, 10 October]. Any direct or indirect linkage of the CBI to the embezzlement case by the Judiciary would inevitably involve the most senior politicians in the government, including President Ahmadinejad, who has authority over the central bank. There were also parallel attempts by the conservatives to link the main suspect in the case to Ahmadinajd’s chief of staff and son-in-law, Esfandiar Rahim Mashaie, and his group that has already been branded as “deviationists” prior to breakout of the banking scandal. There seems to be a two-prong attack on Ahmadinejad’s administration: Implicating it in the case indirectly for lack of supervision over the banks involved in the embezzlement and directly through linkage of the top suspect in the case to the group very close to the sitting president. The banking scandal is rapidly growing into a political scandal as well. Correction: Esfandiar Rahim Mashaie is NOT Ahmadinejad's son-in-law. He is his son's father-in-law. Our apologies to our readers for the unintentional error made in this post, and thanks to one of our readers for catching it. Iran’s Interior Minister Mohammad Najjar said in Tehran today that the new Majlis (the Ninth Majlis) would have 20 more seats than the current one. The increase will put the total number of seats at 310. The elections for the Ninth Majlis will be held on 2 March 2012. BBC is reporting that the International Air Transport Association, IATA, the world aviation’s regulatory body, has suspended Iran Air after the US Treasury’s Office of Foreign Assets Control (OFAC) included the airliner in its Specially Designated Nationals (SDN) List. The list includes individuals as well as companies owned or controlled by countries under US sanctions. IATA’s director of public affairs has told BBC that Iran Air’s suspension went into effect on 5 October. The action means the country’s national airline would not be part of the global airlines clearinghouse. Iran Air still can fly but cannot use other airlines’ facilities and non-Iranian travel agents would not be able to book passengers on its flights. The action severely limits Iran Air’s ability to service its foreign destinations. Ahmad Tavakoli, the influential member of Majlis and the chairman of the Iranian parliament’s research center, said in Tehran that the country’s rate of inflation has reached 27 percent. “According to Statistics Center of Iran (SCI)’s Price Index, the annual rate of inflation for the period ending in Iranian calendar month of Mordad (21 August) reached 27 percent,” Tavakoli said [Alef, 9 October]. The SCI, the government’s statistics and census organization, had announced last month that the annual rate of inflation for the period ending 21 July was at 19.6 percent. The jump of more than seven percent in annual rate of inflation in just one month is very significant and explains the anecdotal evidence of rapidly rising prices, such as the sharp rise in the price of eggs in the recent days. “According to the latest statistics, the inflation rate is around 17 percent… which is normal considering the rise in energy and food prices and the global rate of inflation,” Hosseini said [Fras News Agency, 9 October]. The SCI, however, is theoritically the country’s sole authority to calculate and publish the official rates of inflation and economic growth. The latest announcements on inflation also refute an IMF prediction last August that Iran’s annual rate of inflation would be at 12.4 percent. The campaign season for Iran parliamentary elections will begin on 24 December when the candidates will have one week to register to compete for Majlis seats. The hopefuls, however, will be vetted by the government’s election supervisory body, the Guardian Council, which will release its own list of approved candidates to compete in polls, now scheduled to be held on 2 March 2012. The 2012 elections for the new Majlis (the Ninth Majlis) are the first since the controversial June 2009 presidential race that gave rise to the Green Movement. It is not clear if the reformists would field any candidates for the upcoming elections. The leaders of the Greens, Mr. Mousavi and Ayatollah Karrubi, have been kept isolated and under house arrest for more than eight months. Many other movement activists are in prison or freed on bail, unable to run. It is not also clear if the Guardian Council would even allow members of the opposition who were not jailed to run for Majlis. Ironically, the supporters of President Mahmoud Ahmadinejad, himself a beneficiary of the controversial 2009 elections, might themselves be vetted out of running for Majlis by the Guardian Council. They are branded “deviationists” by the conservatives who have called for the arrest of their political leader, Esfandiar Rahim Mashaie, Ahmadinejad’s chief of staff and son-in-law. In some conservative circles, however, there are voices favoring tolerance towards the participation of a select group of reformist candidates. They fear a “one-party” election, conservative candidates running against other conservative candidates, would split their ranks and could lead to victories by the “deviationists,” if they were allowed to remain in race. Maj. Gen. Yahya Safavi, senior advisor to Iran’s supreme leader on military affairs and former IRGC commander, has harshly criticized Turkish foreign policy, which he said was under the influence of Israel and the US. In remarks carried by Kayhan and other major Iranian media, Gen. Safavi accused Turkey of deliberately creating tensions in Syria at the behest of the US and Israel. He also said that Turkey’s agreement with the US for deploying NATO missile defense system on its soil was a move against Iran and Russia. Safavi also criticized Turkish support for the establishment of a secular government in Egypt. Turkey's increasingly assertive Middle Eastern policy, its stable and highly popular government and its phenomenal economic growth in a region beset by recession and crisis, has made Iran increasingly apprehensive of the growing Turkish influence in the region. Although other Iranian politicians have also expressed similar criticism of Turkey, but the harsh comments coming from an influential IRGC senior officer and a person so close to Ayatollah Khamanei show the degree of that apprehension at the highest leadership circles in Tehran. The National Iranian Oil Company (NIOC) announced today that it has signed a 3.5 billion dollar deal with an unnamed South Korean company to construct a 1,680km oil pipeline linking Iran’s Caspian Sea port of Neka to Jask, an Iranian port in the Sea of Oman. The pipeline would facilitate oil swap between Iran and the oil-rich Caspian Sea littoral states. No dates for the start or completion of the project were released [Mehr News Agency, 7 October]. Iran is planning to raise the volume of oil swapping with the Caspian countries from the present 25,000 barrels per day to 200,000 bbp by the end of current Iranian calendar year (March 2012), and with the new pipeline it can substantially increase that volume. The Central Asian countries would benefit from the deal by selling oil at Jask. Iran’s national women football (soccer) team defeated UAE in Abu Dhabi’s Sultan bin Zayed Stadium on Thursday. The match was part of the preliminary round of the Fourth West Asian Women’s Football Championship taking place in the UAE capital. The Iranians had earlier overwhelmed the Lebanese by the score of 8-1 in the opener on Tuesday. Iran plays against Syria on Sunday in its last match of Group B and with two victories secured already, they will advance to the semi-finals. The championship match is set for 12 October. Photo: The Iranian National Women Football (Soccer) Team. Abu Dhabi, UAE. 6 October 2011. Mehr Photo. 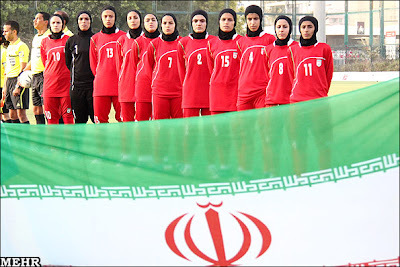 UPDATE: The Iranian women national football (soccer) team finished second in the West Asian Women Football Cup. The Iranian team lost to the host UAE team during the penalty phase after the two teams tied during the regulation time. Iran had defeated the UAE team 4-1 during the preliminary rounds. 12 October 2011, Abu Dhabi. SWAT team forms up for mock assault. Note the lack of helmets and armored vehicle. Iran said today that it is still willing to implement a swap deal worked out with France and Brazil last year to ship its low-enriched uranium to France in exchange for 20-percent enriched nuclear fuel rods for its medical research reactor. The Iranian foreign ministry spokesman said Iran would expand its uranium enrichment program if the nuclear swap deal falls through. “We will not only continue to do the enrichment by ourselves but also build a factory for manufacturing even the fuel rods by ourselves,” Ramin Mehmanparast said. Mehmanparast added that Iran would halt its 20-percent enrichment if the swap were approved. “As the 20 percent enrichment process is not even economical for us, we would be willing to halt this process and get the necessary fuel for the Tehran reactor from abroad,” Mehmanparast said. The West has said in the past that Iran’s proposal does not go far enough, leaving most of the already enriched uranium inside the country and does not halt the enrichment process. Iran’s Supreme Leader Ayatollah Ali Khamenei in a frank discussion of the growing banking scandal in the country told a group of visiting government officials that if in the past ten years the government had followed his edict on combating the economic corruption in the country, the country would not have witnessed scandals such as the recent banking embezzlement. “Although the senior government officials welcomed (our edict of ten years ago) on combatting economic corruption in the country, if they had followed those suggestions, we would have never faced scandals such as the recent banking corruption incident,” Ayatollah Khamenei said [Fars News Agency, 3 October]. “Such incidents would affect the hearts and minds of our people, and break their hearts. Do they really deserve this? People getting upset over such incidents, even lose their hope (in their government), only because the government leaders did not act (to eliminate the corruption),” Khamenei added. “From the very early years, I had warned everyone not to let corruption become endemic and grow roots (in the society). When passing of time, uprooting corruption becomes that much more difficult. The honest investors become disappointed. But unfortunately (the campaign against corruption) did not materialize,” Ayatollah Khamenei said. The supreme leaders promised the public that the three branches of the government would be committed to fight corruption and would monitor the recent banking scandal and similar incidents. He warned against misuse of the recent incident to bring the senior government leader under question. Ayatollah Khamenei added that the officials in the government, Majlis and the Judiciary are performing their duties. “The people should know, the officials will monitor this latest incident carefully, and the hands of all the traitors will be cut,” Khamenei said. 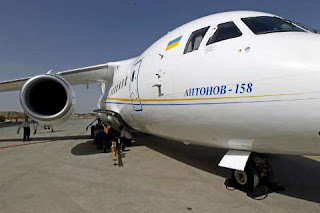 Iran will purchase a fleet of the new Ukrainian Antonov-158 passenger planes to modernize its very old passenger fleet of US, European and Russian aircraft. An-158 is a 99-passenger variation of An-148 regional twinjet, with a range of 2,500km. 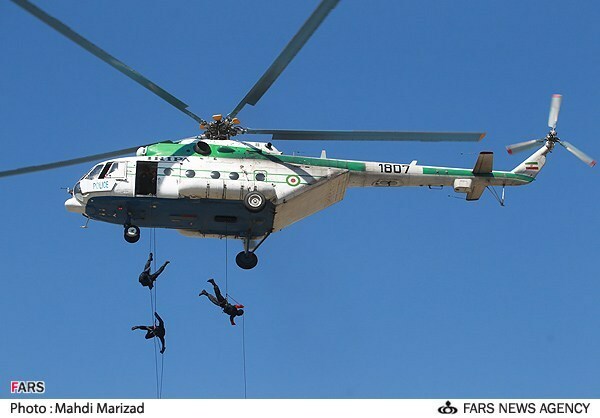 “Studies have shown that Antonov-158 suits Iran's climatic conditions and has been test-flown in certain parts of the country,” said Manouchehr Manteqi, the Managing director of Iran's Aviation Industries Organization (IAIO). The Iranian government has paid out $28 billion in cash to over 73 million citizens (out of a population of 76 million) in the first eight months of the subsidy reform program [Kayhan, 2 October]. The cash payouts, estimated at $3.3 billion per month, is meant to soften the blow of the rapidly rising prices, mainly due to removal of government subsidies of energy and some food products. 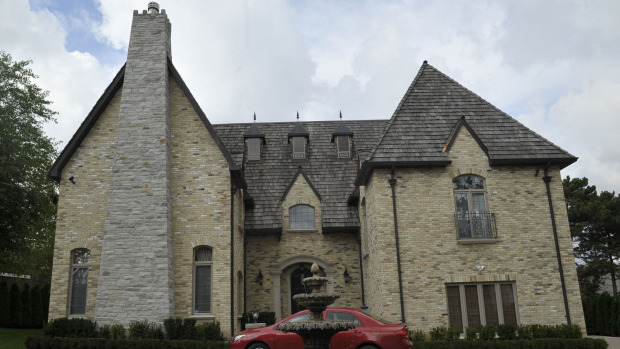 Mahmoud Reza Khavari, the former chairman of the board and managing director of Iran’s largest bank, the state-owned Bank Melli, has reportedly fled Iran and arrived in Toronto, where he owns a home. Bank Melli was one of the banks involved in a massive embezzlement scandal. Khavari resigned his post on Tuesday. It is not uncommon for the Islamic Republic’s elite to have dual citizenship or close relatives living in the West. Bank Sedarat and Bank Saman are also implicated in the $2.6 billion fraud, biggest in the country’s history, and their chairmen were removed from their posts. Toronto’s The Globe and Mail has published a picture of Mr. Khavari’s home in the city's affluent Bridle Path neighborhood and reports that the property is valued at $3 million. Iran's Supreme Leader Ayatollah Ali Khamenei rejected the Palestinians' UN statehood bid, and asked Palestinians not to limit the State of Palestine to pre-1967 borders: “All land belongs to Palestinians,” Khamenei declared. “Any plan that seeks to divide Palestine is totally rejected,” Ayatollah Khamenei told the “5th International Conference on Palestinian Intifada” held in Tehran on Saturday. “The two-state scheme, which has been clad in the self-righteousness of the acceptance of the Palestinian government and membership at the United Nations, is nothing but a capitulation to the demands of the Zionists or the recognition of the Zionist regime on Palestinian land,” Khamenei added [Fars News Agency, 1 October]. “Governments that host Zionist embassies or economic bureaus cannot advocate support for Palestine," Khamenei said in an apparent reference to post-Mubarak Egypt. Khamenei also harshly criticized President Obama for his policies on Israel. “The US president says that Israel's security is his red line. What has drawn this red line? The interests of the American nation or Obama's need for the money and support of Zionist companies to secure his second term as the US president?” Khamenei said.